Farmers dealing with hay have always faced the question of whether or not to take an expensive long term solution and purchase a hay shed or to opt for a more economical, shorter term solutions and purchase tarps. The next question is – Can tarps be held tight in a wind? 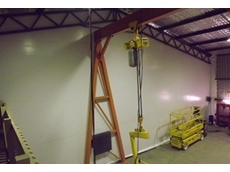 Polytex has been producing tarpaulins that can overcome this problem for some years. 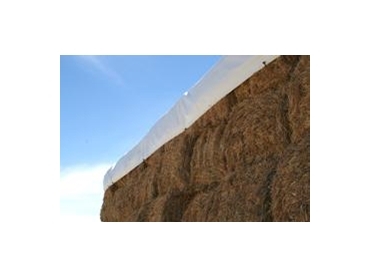 Sleeved hay tarps are hay stack covers that are held tight by the insertion of a one inch water pipe through a sleeved edge on the tarp, rather than relying on reinforced eyelets every 1m to hold the tarpaulins in place. 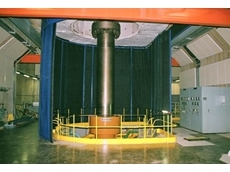 Alternatively webbing can be inserted in the sleeve and tensioned up with ratchets. The tarp is tied down using the pipe or webbing edge for strength. The sleeved edge system puts a hard edge right down the length of the tarp, preventing wind from getting a point of entrance to lift and damage the tarpaulins. 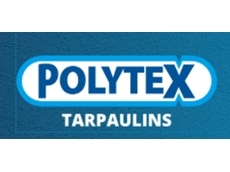 Polytex manufactures tarps of up to 100m in length using the sleeved edge feature. They have proved to be a great accessory for the hay producer. 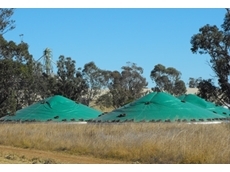 In difficult economic times when hay sheds may seem out of reach, Polytex sleeved tarpaulins can keep you covered.